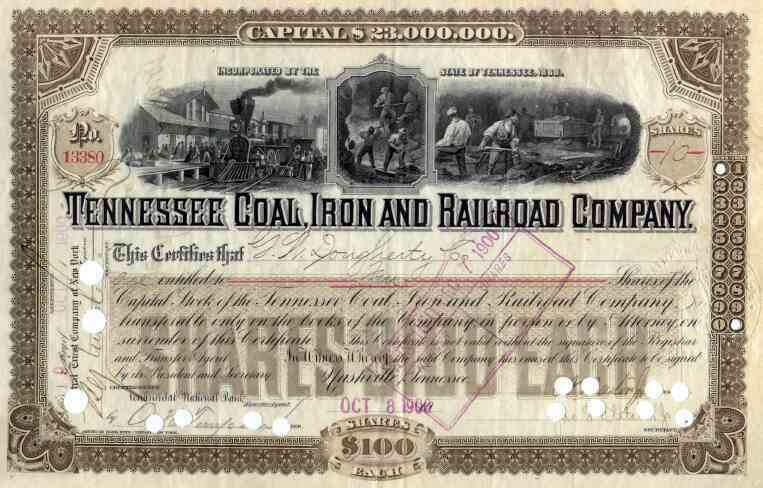 1900 Tennessee Coal Iron & RR Stock Certificate. One of the original DOW Industrial Stocks. Attractive scripophily document with three vignettes, two of coal miners, and one with steam locomotive at station platform. VF+ condition with punch and stamp cancellation.